It’s not hard to get PHAMEous when you have a chance to work with the great program and talented staff of PHAME Academy. Check out “Heart of Gold” performed by Aaron and PHAME band at From Oregon with Love benefit, and you will understand. “Talent Revealed” is the slogan of PHAME’s program for mid-teens and adults with developmental disabilities and special needs in the Portland region. PHAME practices the “Enlighten, Educate, and Entertain” teaching philosophy. This approach supports the students by providing opportunities that encourage education, enlightening experiences, and entertainment derived from not only the classroom and special event environments, but also from the experiences and support derived from parents, guardians, and the students themselves. PHAME is the only program of its kind in the USA. For the first time in its 26-year history PHAME secured the chance to move into its own offices next door to its host organization, Grace Memorial Episcopal Church, in east Portland. The space is an old Portland bungalow the church has owned since the mid-50’s, but has not seen a lot of use of late. The wear and tear over the years had left the interior in need of seriouis attention, especially the lath and plaster walls. Stephen Marc Beaudoin, Executive Director, put out a call on Facebook for anyone interested in helping with their move into new space. On his list was “painting.” I had a unique block of time I could donate because of the slow economy in the construction sector. 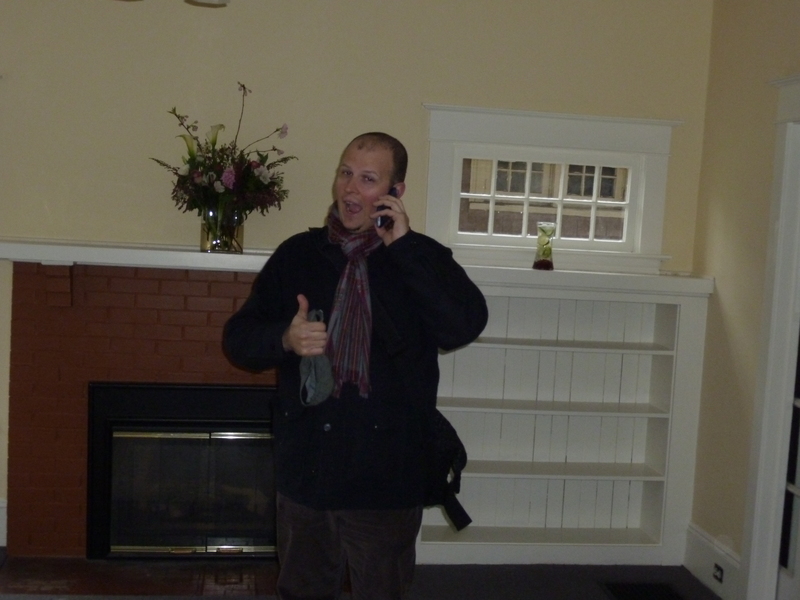 We wed PHAME’s needs, Stephen’s energy and vision to my long developed renovation skills to refurbish two offices, stairwell/entry, and living room/dining room space along with some simple upgrades. 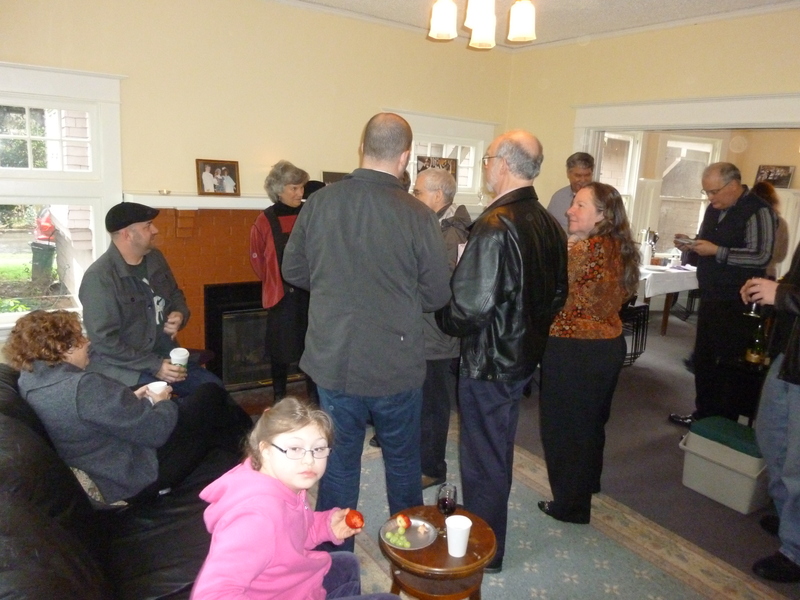 In five weeks and many, many volunteer hours later we were ready for the new headquarters launch celebration on March 16. We generated $18,883 worth of work for less than $1,200 out-of-pocket.